Ever wondered if perfume is bad for your health? 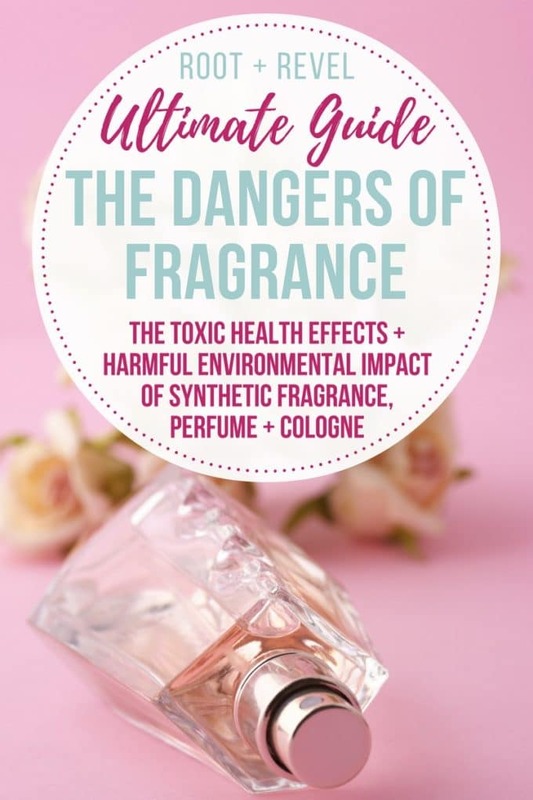 In this ultimate guide, we explore the dangers of synthetic fragrance, including the toxic and harmful health effects, the negative environmental impact and why you should go fragrance free. 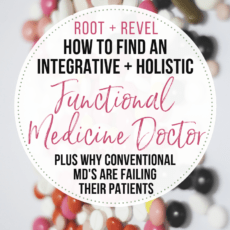 When I first learned that I had PCOS and insulin resistance, I knew that if I wanted my symptoms to go away (acne, irregular periods, fatigue, excess weight in my midsection, PMS), I was going to have to balance my hormones. 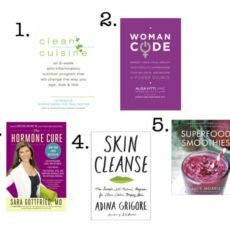 Even if I didn’t have PCOS, I knew that hormone balance (and a healthy gut) was key to good health, the secret to overall wellbeing, and in my case, the source of many of my problems. So I started with food—cutting out processed junk and focusing my diet around real foods that are anti-inflammatory. Then I added in a few safe and natural supplements to supercharge my healing. And then, after spending many months focusing on what I put in my body, I started paying attention to what I put on my body. Why? 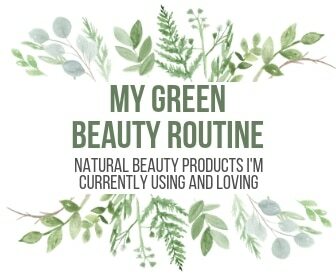 Because nearly every single product I was using, from shampoo to face wash, moisturizer to perfume, was filled with toxic chemicals, many of which have been proven to disrupt your hormones. And if my hormones were already out of whack, why would I knowingly use products that would further imbalance them? And what do you know? After tossing all of my endocrine-disrupting products, and replacing them with safe and natural alternatives, slowly but surely, my symptoms started to disappear. 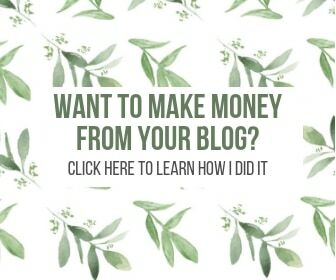 And today, I have reversed my PCOS and insulin resistance NATURALLY (no meds required!) and now live a near symptom-free life. But I’m getting ahead of myself. Let’s back up; let’s go back to that part where I said nearly all mainstream skincare, cosmetic, toiletry, household and personal care products are chockfull of hormone-disrupting chemicals. It’s sad, and it’s scary, but it’s true. It’s also a lot easier than you probably think to get rid of these harmful chemicals. In fact, if you can shun products with one simple ingredient in them, you’ll be well on your way. The number one ingredient you should avoid to, in turn, avoid messing up your hormones is fragrance (also known as perfume, parfum, cologne or eau de toilette). The term “fragrance” on a product label represents an undisclosed mixture of various chemicals and ingredients, added to provide a pleasant scent, or (more often) to mask a bad one, says Tina Sigurdson, General Counsel at the Environmental Working Group (EWG). It’s one of the only ingredients that doesn’t have to be fully disclosed on the label, meaning there’s a “fragrance loophole” in our products that allows companies to simply use the generic term “fragrance” rather than being transparent and telling the consumer what’s really in the product. This is always a red flag to me—what are they trying to hide? Turns out, a lot. Did you know the average fragrance product contains 14 secret chemicals not listed on the label? While there’s an argument that not disclosing their “fragrance mixture” protects company trade secrets, this is often at the detriment of the consumer’s health, as we can’t rely on labels to know what hazards may lurk inside the product. And unfortunately, once you start looking for it, you’ll quickly realize this toxic mix of ingredients known as “fragrance” is added to nearly every product on the market, from laundry detergent to dish soap, shampoo to all-purpose cleaning spray, candles, deodorant and even tampons (why those need to be scented is beyond me!). “Fragrance has been around for centuries, way before modern synthetic and artificial chemicals were used,” explains Anya McCoy, President of the Natural Perfumers Guild and founder of Anya’s Garden Perfumes. So if it wasn’t yet clear whether perfume is bad for your health, let’s dig a bit deeper. Now you might be thinking, “yes, I’ve totally gotten a headache from someone’s strong perfume before,” or “oh yeah, I definitely get all sneezy and wheezy around candles”. Or maybe you’ve noticed that when you apply scented lotions to your skin, or when you wash your clothes in scented detergent, that your break out in a rash or your skin is irritated with dermatitis, eczema, etc. This might all be starting to make sense to you—I know when I first learned about fragrance it felt like all the dots were finally connecting. But I still wondered why? Why does fragrance cause these problems? How? Good news—we’ve got all the dirty details for you below. We already went over how the undisclosed mixture of fragrance includes dozens of different chemicals. Now, we’re going to take a look at what kind of chemicals are in fragrance and perfume. Be forewarned—the list ain’t short. The International Fragrance Association, an industry trade group, publishes an online “Transparency List” of about 3,100 stock chemical ingredients that are used in fragrance. 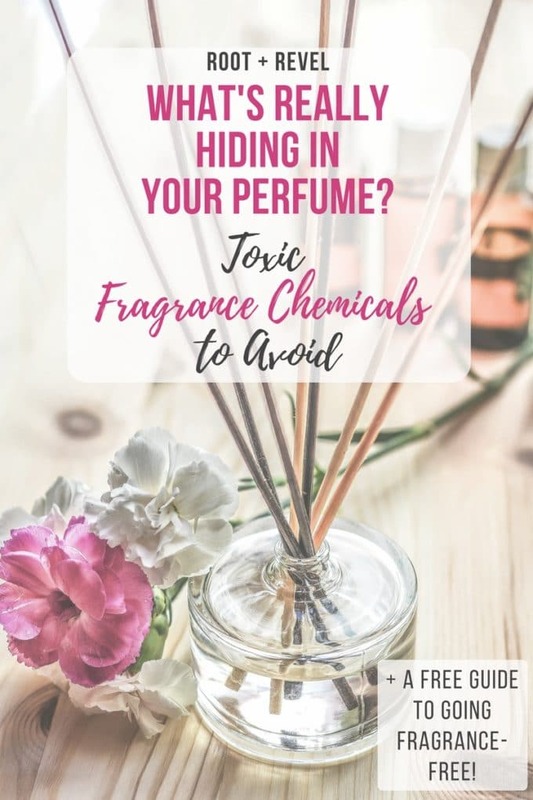 According to the Breast Cancer Fund, when it comes to the prevention of cancer, avoiding synthetic fragrance is one of the best ways to protect yourself. Phthalates: This class of plasticizers used to soften polyvinyl chloride (PVCs) is also used to add fragrance to a product. These are some of the most powerful endocrine disruptors around. Phthalates act by interfering with, specifically suppressing, androgen production (hint: androgens are the male hormones, like testosterone), which are critical to male development AND female hormone balance (yes, females also have androgens), including fertility (source). Because of their anti-androgenic activity (phthalate exposure is linked to genital abnormalities in boys, reduced sperm counts, endometriosis, and elements of metabolic disruption including obesity, insulin resistance, and Type 2 Diabetes), many phthalates have been banned or their use restricted in other countries. (source) But they’re still allowed in the U.S., meaning Americans are at risk for developmental and reproductive toxicity. Phthalates often hide under the “fragrance” ingredient, but they can also appear on ingredient lists as phthalate, DEP, DBP, and DEHP. Parabens: This group of artificial preservatives is used to prevent the growth of bacteria and mold in a cosmetic product, increasing its shelf life. Parabens also disrupt reproductive hormones, as the preservative is estrogenic, meaning they can mimic the hormone estrogen, disrupting normal function of the hormone system. (source) This is really bad news for all women, as excess estrogen has been linked to breast cancer. And for women with hormonal imbalances, estrogen dominance is one of the many imbalances associated with PCOS, so by using products with parabens, you’re just worsening the issue. Styrene: In 2014, the National Academy of Sciences confirmed that styrene, a chemical building block used to produce a wide variety of everyday products including fragrance, can cause cancer. Styrene turns up in automobile exhaust, cigarette smoke and could lurk in various sprays and liquids you’ll find in the cosmetic and cleaning aisles of your supermarket. According to the EWG, if a company doesn’t fully disclose that it contains styrene (which it most likely will not) then the only way you’ll know it’s present is if you use a gas chromatograph or mass spectrometer. Synthetic Musks: Nitro- and polycyclic musks are artificial chemicals used for decades in “fragrance” mixtures added to everyday products. Some musks irritate the skin, or trigger allergic reactions, certain musks have been linked to cancer and can harm the nervous system, and a study of nitromusks in people suggests that higher levels of some musks may be linked to reproductive problems in women. (source) So if you’re trying to get pregnant, or one day hope to be able to, using synthetic musks could greatly hurt your chances of conceiving. 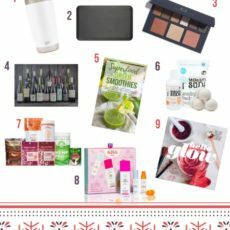 RELATED: 25 Cruelty-Free Brands + Products That Actually Work! Sometimes a label, though not disclosing the full ingredients, might say something like “paraben-free” or “made without phthalates”. Does this mean the product is safe? Unfortunately, not necessarily. “It’s difficult to know what these endocrine disruptors have been replaced with. That a chemical of concern is absent from a product does not guarantee that it’s safe, as there is no guarantee that there are not other compounds in those products which might be harmful,” says Heather Patisaul, Endocrine Society spokeswoman and Professor of Biological Sciences in the Center for Human Health and the Environment at NCSU. On the contrary, what are the good effects of perfume and fragrance? It smells good. That’s it. That’s the one redeeming quality of synthetic fragrance, and you have to ask yourself whether the risk is worth that simple reward. Especially when there are natural alternatives that smell just as good available. If you’re wondering why companies would continue to use synthetic scents if they’re so bad for our health, you’re not alone. I asked the same question when I learned about the dangers of fragrance. The answer is simple—they are cheaper. It always comes back to money. Is synthetic fragrance bad for the environment? Lest you think synthetic fragrance is only harmful to humans; perfume is also bad for the environment. Inevitably, after learning about the dangers of fragrance, everyone wants a list of toxic perfumes. It would be shorter and easier to give you a list of synthetic fragrances that aren’t toxic…the answer is none. “Databases like the EWG’s Skin Deep sometimes have more detailed information about contents and potential toxicity, but generally consumers have no way of knowing what “fragrance” means unless the manufacturer fully discloses the full chemical composition on the label, which is rarely done,” says Patisaul. As always, I started with the bad news, the doom and gloom that might have left you feeling a bit overwhelmed. But don’t worry—there is light at the end of this very dark tunnel, there is a synthetic fragrance solution; non-toxic perfumes DO exist. 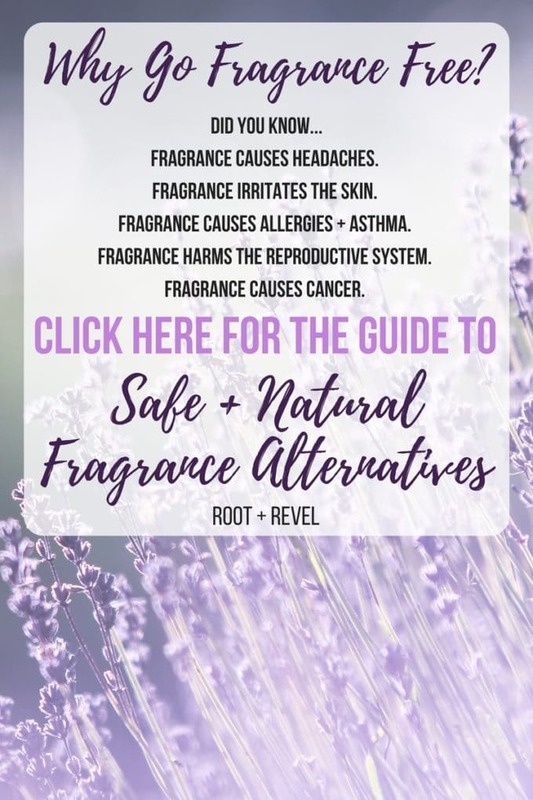 There are a handful of brands out there making safe and natural perfumes or natural fragrance, including essential oils. So how can you know if a perfume, cologne or fragrance is safe? Third party certifications to verify whether a fragrance product is safe or toxic. Where you can check the safety or toxicity of a particular ingredient. Are essential oils a safe alternative to fragrance? How can you support labeling and full disclosure from brands? Ask the Company. If you have a product that you love, but you’re not sure if it’s safe, ask them. If companies are using safe ingredients, then they should want you to know that. If they won’t fully explain how their products are scented, it’s likely a red flag. At the end of the day, your safest option to minimize exposure to potentially toxic compounds is to buy only fragrance-free products. With that in mind, there is no reason to be hysterical—it’s about lowering your exposure, not completely eliminating it (although you can go that route if you’d prefer). For me, it’s about making realistic changes that you’re likely to keep for a lifetime, rather than extreme and drastic shifts to your everyday life that will eventually lead to burnout. Because here’s the thing about most toxic chemicals—toxicity is cumulative, it builds up. Thanks to our handy liver, which is our body’s own natural detoxifier, if we are hit with a single toxin, our bodies are able to process it and detox from it. HOWEVER, the problem is that in today’s modern world, our bodies are hit with hundreds of toxins every minute of every day and our liver can’t keep up. 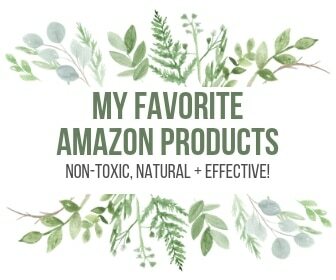 Almost every product has fragrance added to the mixture, so we’re getting hit with those toxic chemicals around every corner–when you wash your hair, soap up in the shower, brush your teeth, apply perfume or cologne, do your laundry, wipe down your countertops, mop your floors, light a candle, and the list goes on and on. So it’s important to reduce our chemical exposure, whether that means buying organic food or making the switch to natural products. What it doesn’t mean is that you have to live a 100% toxin-free life. It’s not possible, so don’t make that your goal. Instead, simply reduce your chemical exposure as much as you can. 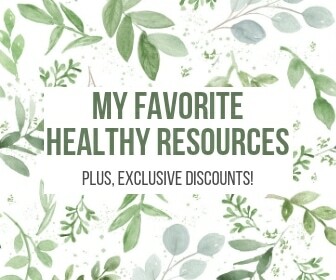 Pick a few products that you can’t live without, and then find natural alternatives for the rest. So if you’re just wearing perfume, but everything else you use is fragrance-free, great. If you absolutely love your wonderful smelling conditioner, then use that and reduce fragrance use elsewhere. There are also ways to use a scented product with less exposure to your system. For example, instead of spraying perfume on your skin, where it’s immediately absorbed into your bloodstream, spray it in your hair. Fortunately, getting fragrance-free products is getting easier (and cheaper), so try to buy those alternatives as much as possible. There is no reason to have scented trash bags or tampons. Why introduce possible allergens into your environment if you don’t have to?